All those kudos thrown my way for how well organized our races are? They all belong in Josh Miller’s lap. Josh is obsessed with detail and that is a good thing in our business. 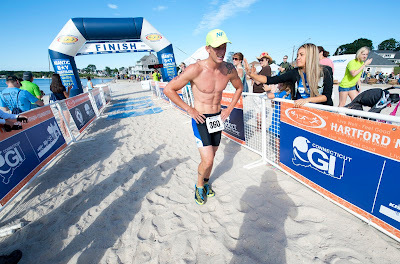 Between his passion for the sport and his attention to detail in his job, Josh is a dream come true at HMF. Oh yeah, he is also a really funny guy who never gets rattled. 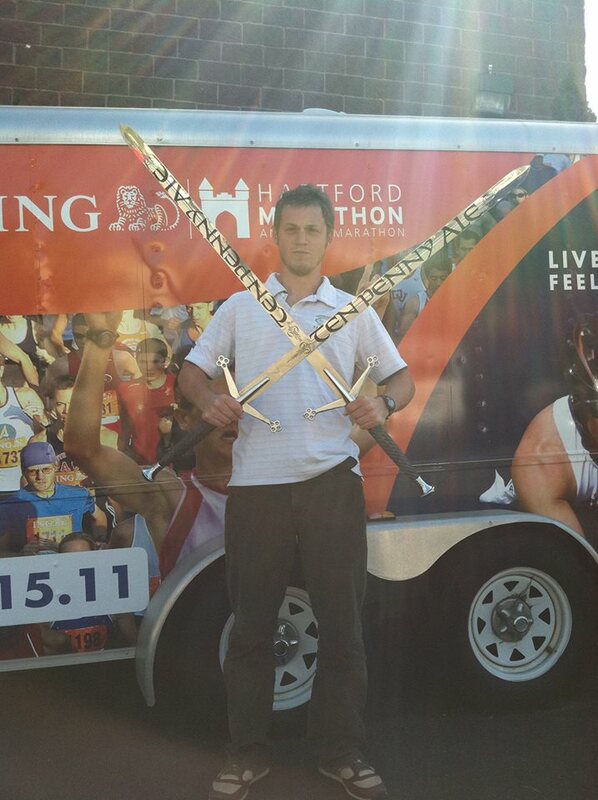 Josh has been with the Foundation for over 7 years and has become an integral part of the HMF family. Josh’s current position is Technical Director- what does that mean exactly? Let’s just say he does A LOT! His main priorities are designing and implementing race plans to ensure the running and multi-sport events run as smooth as possible. 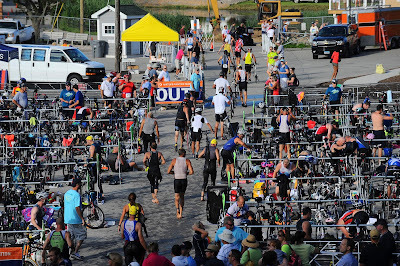 Role on race day – Overseeing venue and course set up, and race plan implementation. Retired middle distance track athlete, now I just try and get lost in the woods. ING Hartford Marathon 2012; the stars were aligned, it was beautiful event. Legends Run 2013 – Hanging out with Bill Rodgers and Amby Burfoot was a childhood dream come true. I always shower the morning before I race. Medical incidents – even with our well-developed medical plans, it is a scary sight to see one of your athletes in medical need. Seeing people complete their dreams. The energy at the finish line of a race is contagious. Do the Portalets have enough TP? How much planning and thinking goes into every little detail… Should the race start at 8 AM, should the Portalets go here, vendors there etc. A long back packing trip to Patagonia. Charity giving has been a part of the marathon since 1994 when we first created the Hartford Marathon Foundation. As runners, many of us are blessed with health and vitality and I feel we are responsible to pay that gift forward. With thousands of dedicated runners in the HMF community, we have a unique opportunity to bring people together to do good in very significant ways. 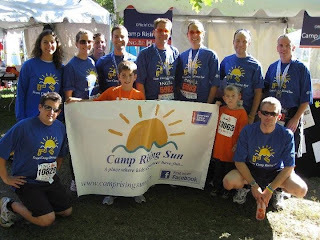 Our Official Charity program began as a way for us to motivate our runners to pay it forward. If a participant doesn’t have a particular cause close to his/her heart, we make it easy to find a worthy recipient. We screen and select Official Charities, usually with a local connection, that benefit a variety of causes, such as supporting people with physical disabilities, children’s health or advocacy groups and local veteran programs. We support and promote the Official Charities and provide resources for fundraising through our page on Crowdrise; in exchange, each charity secures 30 volunteers to help during marathon weekend. These valuable volunteers are critical to help us produce and organize such a large-scale event. 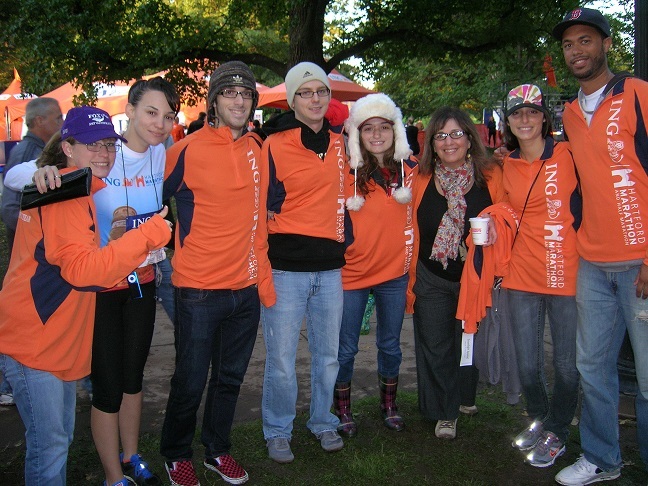 It’s a true win-win situation; the ING Hartford Marathon serves as a fundraising event for charities and charities support the event with their dedicated volunteers. Our charity partners reflect a variety of interests and purposes in our community to help speak to the varying causes and passions that drive our runners. For example, Team in Training Connecticut has been a partner for almost 15 years and has raised more than $500,000 since 2007 to benefit the Leukemia & Lymphoma Society. Many of our Official Charities provide running coaches and group training runs to team members, as well as t-shirts, a pre-race dinner and other perks. Team MAD (Making a Difference) has joined us for the past 7 years, each year choosing a different local cause for their running group to fundraise for and support. 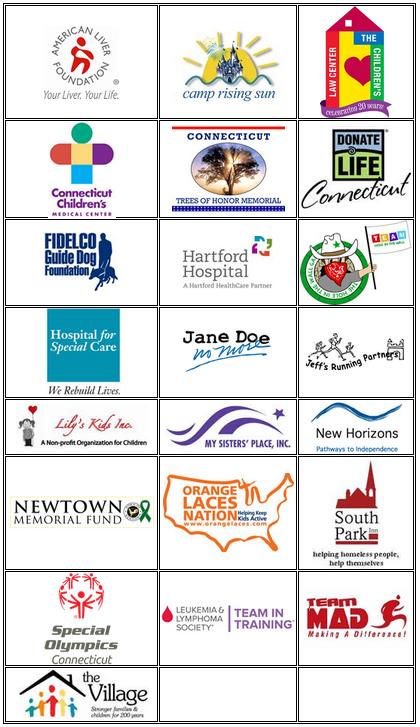 See below for a full list of Official Charities for 2013. We are truly thankful to our participants who use their running goals to also raise funds for charity. 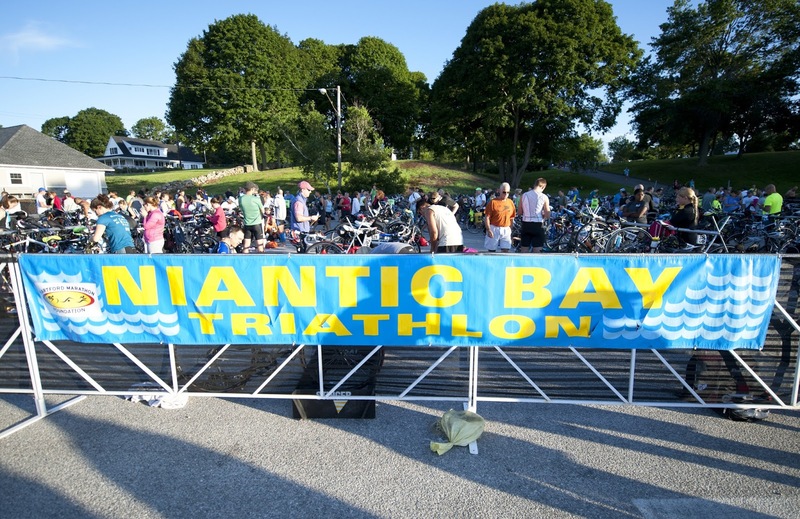 As a ‘thank you’ we reward them with access to a special Charity Village tent in Bushnell Park where fund-raisers are allowed to gather, relax and enjoy refreshments before the race. We also give them access to private portalets -- nothing excites a runner like portalets without lines before a race! 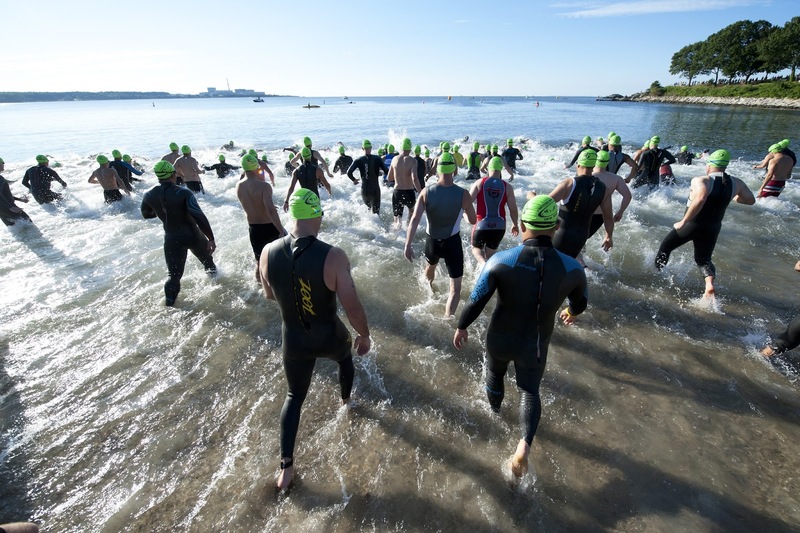 As a non-profit organization ourselves, HMF does not have the funds to donate entry fees to charity; every penny of registration costs goes directly to producing the event. 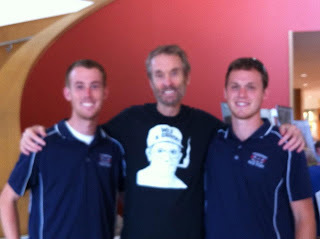 The Official Charities program allows us to foster donations to many incredible causes. 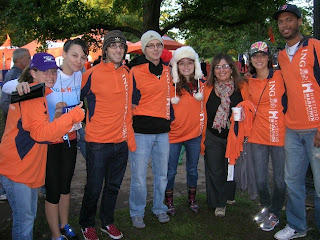 We applaud our dedicated runners who spend weeks and months fundraising for charities and are proud to have them participate in the ING Hartford Marathon as a vehicle to support their cause. Participants waiting to begin their swim. 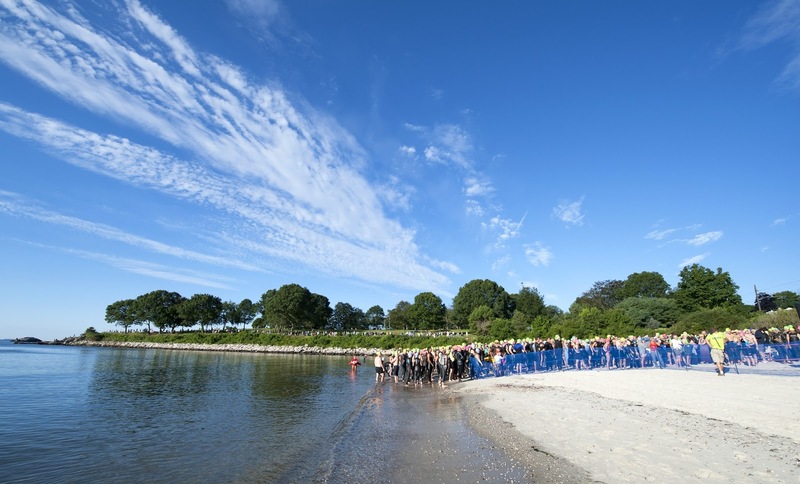 The men take off to begin their 1/2 mile swim in Niantic Bay! 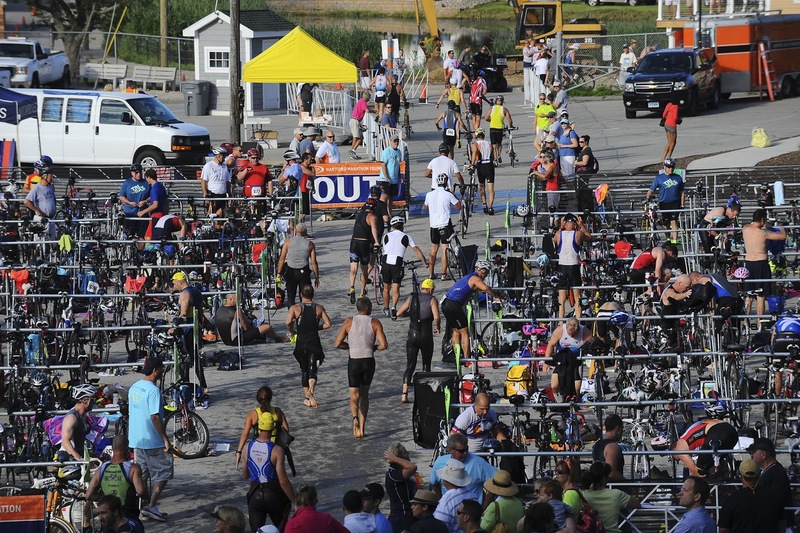 Triathletes making their transition from swimming to the 12-mile bike course through Niantic and East Lyme. 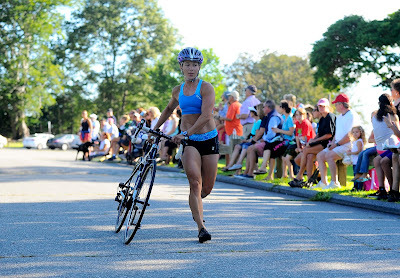 A participant finishes the bike course to transition to the 3.2-mile run. 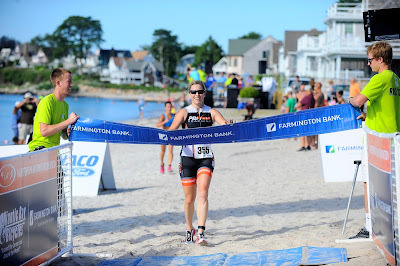 Amy D'Anna crosses the finish line with a time of 1:10:40! Brendan Mims slows down after crossing the finish line in third place at 59:34. 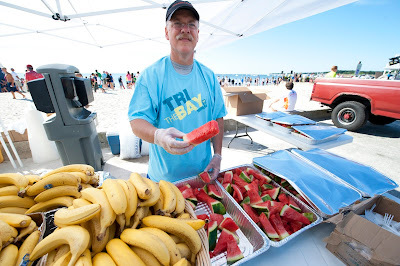 A volunteer hands out post-race snacks including watermelon, banana, oranges, yogurt, granola, Pretzel Crisps and Farm to Heart organic oven baked bread with spreads! Watch the video below for more images from the 2013 Niantic Bay Triathlon courtesy of Steve McLaughlin Photography. We hope to see you all next year!